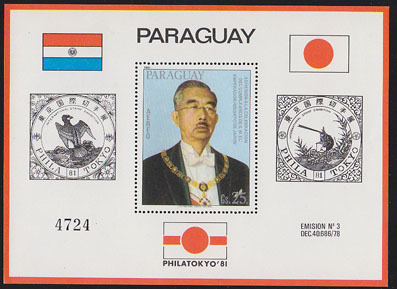 11938 SS PARAGUAY (1981) Emperor Hirohito*. Souvenir sheet. Scott No C486. 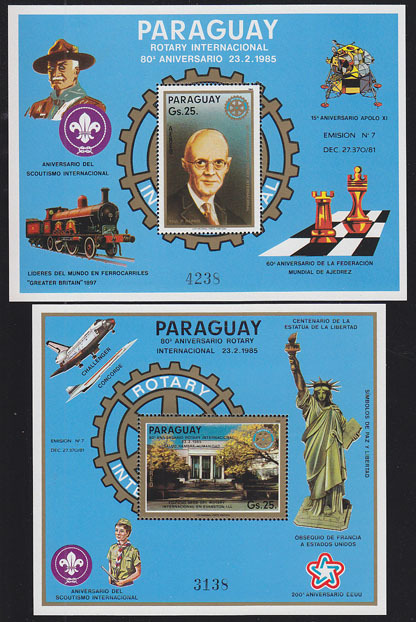 17007 SS PARAGUAY (1985) Rotary 80th anniversary. Set of 2 S/S. Scott Nos C595-4.